Can we blame Flashpoint and Barry Allen for this one? The Flash‘s movie, with Ezra Miller in the starring role, had been rumored for a June 5, 2020 before production was recently delayed. 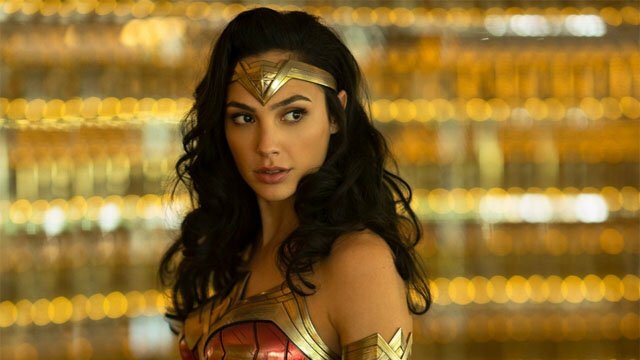 Now, Warner Bros. has delayed Wonder Woman 1984 from its November 1, 2019 release date, and given it the June 2020 slot. Wonder Woman 1984 star Gal Gadot also confirmed the news on her twitter account. Wonder Woman 1984‘s new release date was previously going to be used for The Six Billion Dollar Man. That’s a reboot of the classic ’70s series, The Six Million Dollar Man. Let’s hear it for inflation! But the non-Stone Cold Steve Austin needs to find a new date for his cinematic debut. Chris Pine is also returning for the sequel, although it’s currently unknown how or if Steve Trevor will be resurrected. Kristen Wiig will play Barbara Minerva, a.k.a. the Cheetah. Pedro Pascal and Natasha Rothwell will co-star in the film, which will open on Friday, June 5, 2020. What do you think about Wonder Woman 1984′s delay? Does this movie belong in the summer blockbuster season? Share your thoughts in the comment section below!